Ra Ra Riot performs on the main stage at Make Music Pasadena in 2011. 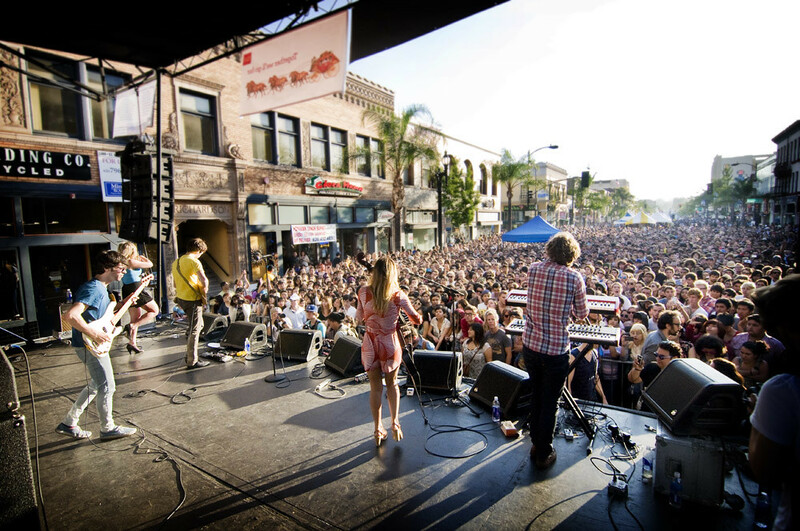 Tomorrow is the 6th Annual Make Music Pasadena which is West Coasts' largest free music festival and boasts multiple outdoor stages while also hosting over 100 bands, 150 free concerts, expects over 35,000 music lovers to attend this years events. Presented by 89.9 KCRW, this year's lineup features Youngblood Hawke, Tanlines, Yacht, Robert DeLong, Hunter Hunted, We Are Scientists, Las Cafetera, Superhumanoids, Soko and many more. Check out MakeMusicPasadena.Org for more info right HERE.